Congratulations to Theo Mantamadiotis, PhD, of the Department of Microbiology & Immunology, who led the study and team behind this paper to be published in Neuro-Oncology. Featuring in the October edition, the paper outlines how the group discovered a way to slow tumour growth in the most aggressive type of brain cancer – glioblastoma. Researchers found PI3K hyperactivity initiates glioma-like tumours, which can be switched to a less malignant state by deletion of CREB. This raises the possibility that CREB is a useful anticancer target. Evidence that CREB may be a useful target for brain cancer therapy. 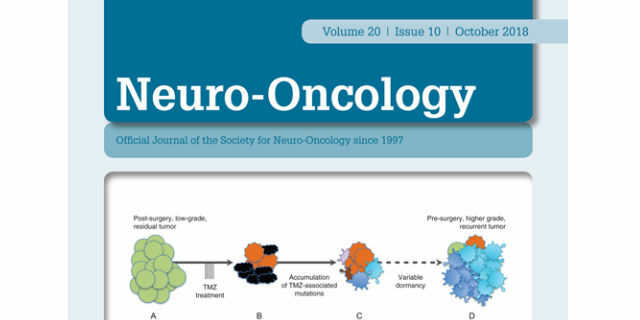 Neuro-Oncology is the peak journal in the field and is published by the Society for Neuro-Oncology (USA / International).